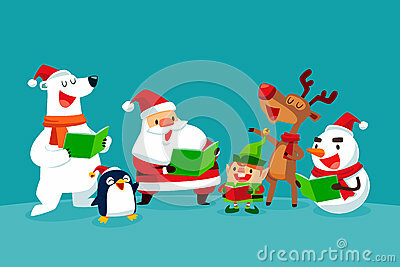 Christmas cute characters and design elements set. Watercolor hand drawn set with two cute pig cartoon characters. Christmas seamless patterns with cute deers and santas. Set of characters happy girl in winter clothes with bag.